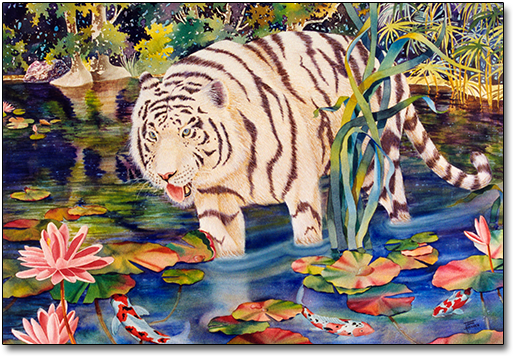 This rare white tiger painting was commissioned by one of the artist's collectors. It is painted with watercolor and gouache on acid free watercolor paper. This website will be updated when print information is available. If you are interested in a print of this image, please contact the Joan Hansen Art Gallery.